Patients who need to rely on CPAP therapy not only during the night are definitely looking for user-friendly and easy to carry CPAP devices. Both ResMed and Philips Respironics are market leaders in terms of portable CPAP devices, so let’s have a look at their most popular small-sized CPAP devices: the AirMini by ResMed and the DreamStation Go by Philips Respironics. ResMed has been a provider of trustworthy medical grade breathing devices for more than 25 years. They continuously strive to bring to the market smaller, lighter, more powerful machines that help patients get the therapy they need even while on the go. AirMini is considered the smallest portable CPAP device available on the market. The device features top effective humidification system for even more convenience and therapy comfort. AirMini offers quick and easy connectivity via the AirMini App, and the device also comes with a premium stylish travel bag and accessories for ideal therapy while on the go. AirMini weighs less than 1 pound and fits easily into the palm of your hand. The device features the HumidX waterless humidification, and this small device has all the important functional and operational features you can find in the AirSense 10 CPAP device by ResMed. Waterless humidification system – patients can now enjoy all the benefits of humidification but without any hassles. HumidX is a waterless humidification system that provides optimum moisture levels without having to use any water. AirMini App – users can easily control their AirMini from a smartphone or tablet with the help of the AirMini App. Patients simply have to download the app and then connect via the Bluetooth feature. With the AirMini App, users can easily access their sleep score or 30-day therapy history progress. Plenty of accessories available that go with the AirMini device: heat moisture exchangers that help to provide effective humidification, the ResMed mount system that allows you to mount the device to certain points (e.g. your bed frame), or the AirMini Travel Bag which is a small and compact travel style bag. If you are looking for the smallest sleep therapy system provided by ResMed, you should pair your AirMini device with the AirFit P10 mask. Philips made a breakthrough with its launch of DreamStation Go. The device has 1/3 fewer parts when compared to other portable types of CPAP devices. Also, DreamStation Go is 50% smaller than the SystemOne or other DreamStation devices by Philips. Thanks to its ultra flexible and sleek 12mm tubing system, users can now get all the freedom of movement they need while sleeping. The tubing system is up to 60% smaller than the standard 22mm tubing systems. Patient comfort is maximized through the Flex Technology. DreamStation Go uses Flex technology just as the SystemOne or the DreamStation devices. Flex technology helps to track the breathing patterns of the patient and then provide pressure relief upon exhalation. Flex technology will also ease the transition of pressure from inhalation to exhalation in order to mimic the natural breathing pattern of the patient. Therefore, Flex technology follows the patient’s breathing pattern on a breath-by-breath basis to provide the best compliance and therapy efficiency. Patients looking for a small, portable and relatively light CPAP device can opt either for the AirMini or the DreamStation Go. Both devices offer similar features, with the DreamStation also offering pressure relief and a much more flexible tubing system. AirMini is smaller with fewer features, while DreamStation Go is a little bulkier with more integrated features. When selecting a travel CPAP it is important to carefully check out the features before purchasing. For example, patients with higher required pressures will certainly need the Flex technology to make their therapy more comfortable. On the other hand, users with lower pressure requirements may want to look at an extremely stylish, small and lightweight travel CPAP such as the AirMini. Also, patients who already own a standard ResMed or Philips Respironics device and they are compliant with the therapy provided, they may want to opt for a travel CPAP offered by the same brand they trust. Before opting for a travel CPAP, you should also check out all the compatible accessories that you can purchase with your device (connectivity accessories, cleaning kits, compatible masks or humidification accessories). If you need more comparison information about CPAP devices you can visit our helpful CPAP comparison chart. I am interested in the ResMed airmini and frankly would just like to use it full-time. Why would I not want to do that? I currently have a standard version from 2013. Not sure which model. There is not a reason that I can give you for not using it full time. 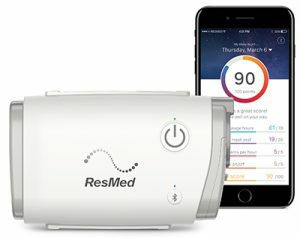 As a matter of fact I have used the ResMed AirMini as my full time Auto CPAP Machine since it was released in May of 2017. Just remember that the ResMed AirMini Travel CPAP uses a dry humidification system and it does not provide the humidification a heated humidifier does. Personally I do not use any humidification so it is a perfect choice. i use a RESMED Autosense 10 and went to check out the Air mini due to the travel i do for work. while fully functional, it is quite loud when compared to the Larger machine. I too wanted to use the mini device permanently but i’m sure it would have impacted my wife’s sleep as well. Just my opinion. Charles, It sounds like you can use the Air Mini without the humidifier cartridge; is that correct? Its a shame the Air Mini went with a custom hose that only works with their own masks; Or, is there a way to use a standard hose? You are correct you do NOT have to use the humidifer cartridge and as a matter of fact I have never used it. 1. Do both machines have external power adaptors? 2. Does the Dreamstation come with a battery installed, which would account for the difference in size and weight? 3. Is there a way to humidify the Dreamstation? Thank you for your questions. I will try to answer them. 1. Both the ResMed AirMini Travel CPAP and the Respironics DreamStation Go com with external power adapters which work on 11oV to 240V. 2. The battery for the DreamStation Go is an add on. A battery does not come with either machine. The size and weight is really not that much different. They are just shaped differently. 3. The only way to add humidification to the DreamStation Go is with either an external humidifier like the Fisher & Paykel HC150 or to use a heat moisture exchange between the mask and hose. AFAIK only the AirMini has an external power adapter the DreamStation’s adapter is built-in (which I prefer). Confused! I use Airsense 10. Pressure 8. I want to use an item off grid. I like humidification. I’ve never tried without. I am about 5 months into using CPAP. It has been a difficult transition. I’ve adjusted to be able to use nasal cushion without chin strap. Seems Airmini is a good choice but not sure considering the features of Dreamstation Go. And from there auto vs. fixed. Is there a person that I may speak with? Mr. Blum, Please fell free to call us toll free at (866) 923-2727 and we will gladly discuss your options and help you find the travel CPAPmachine that will best fit your lifestyle. As a side note I would always suggest an auto CPAP over a fixed pressure machine. Which is quieter between the Air Mini and the Dreamstation Go? I got the HDM Z1, and it is absolutely unusable because it is so extremely loud (to the point of literally risking hearing loss). How do these units compare in terms of noise? Also, I found there was something odd about the airflow through the smaller tubing of the HDM Z1–one has to fight against the resistance of the machine and tubing making inspiration difficult. Have you had this complaint with the Air Mini and Dreamstation Go? I think you will find both the Resmed AirMini and the Respironics DreamStaion Go to be silent. There is some noise at the mask of the ResMed AirMin but only heard by the user. There is no noise from the DreamStation Go on any mask we have tested it with. You are right about the exhalation on the HDM Z1. You will not have that problem on the AirMini or on the DreamStation GO as they use the same exhalation relief as the larger machines. I am unclear if the Dream Station Go provides humidification? 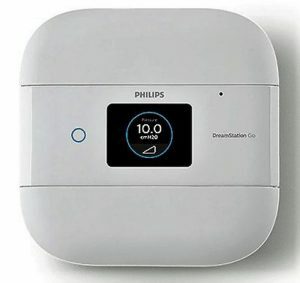 There is NOT a humidification component to the Philips Respironics DreamStation GO. This is a great travel CPAP however is not for use if you cannot get along without heated humidification. Many people, including myself have never used humidification and I would suggest you turn yours off for a night or two and see how you do without it. You may be surprised that you can live without it. 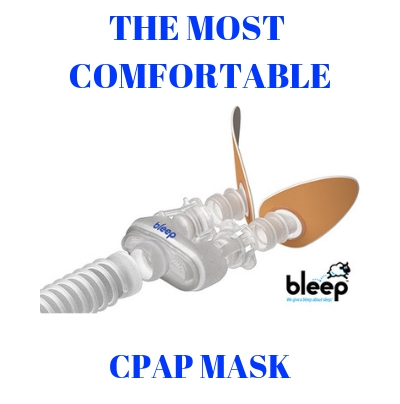 Hi , I’m new to this cpap business and truthfully still finding it hard to keep my mask on. I have the dream station go auto with ResMed p10 air fit nasal pillow cushions , I find I tolerate the less gear around my face , I sometimes open my mouth and hear the gush of air , so I simply close it .there is now the humidifier that you can attach if you want it . As we travel a lot , I got the smaller option . I didn’t like the noise of the ResMed mini, but I did like the size of it .I wish I could get use to it and keep it on longer , I seem to whip it off in the middle of the night . But I defiantly feel the difference when I wear it for longer at night , the most I ve been able to keep it on is 7 hours … I will keep going and keep trying . I have a dreamstation auto. The go looks the lightest but the tube is nonstandard? Does it have an adapter for masks? I like the full auto functions. I like the quietness. Which would make me happier, go or AirMini? You are able to use ANY CPAP msk with the DreamStation Go Auto. You do not need any adapters. As for the ResMed AirMini you can use one of 4 mask which are made specifically for the Resmed machine. They are both great machines.